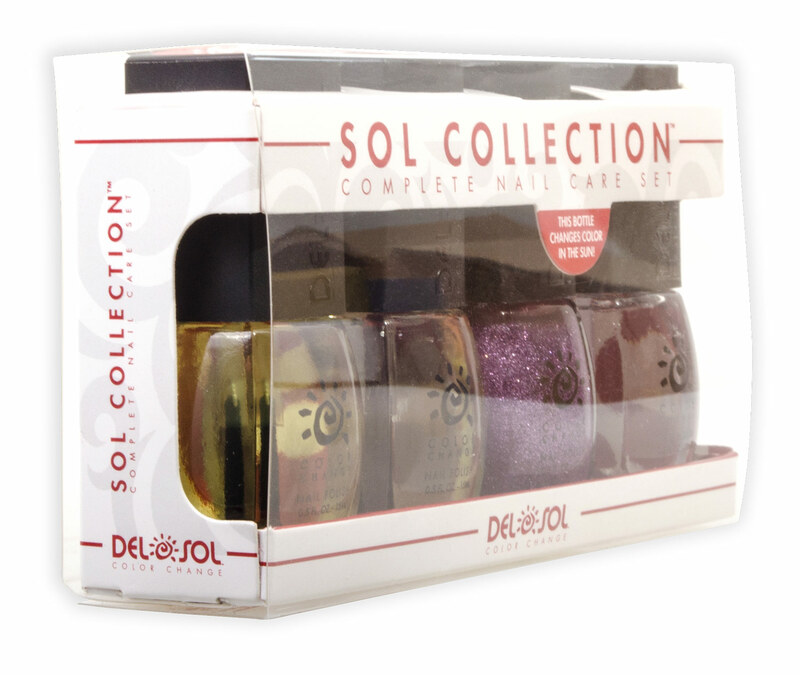 New Sol Collection box designed to have Cuticle Oil, Top Coat, and Base coat already in the box and allow the customer to choose a bottle of polish so slide in thru the top of the packaging. Back of packaging clearly describes how to apply the items in the box. Plastic sleeve allows customer to slide the box out, insert their nail polish color of choice and slide the box back into the sleeve. 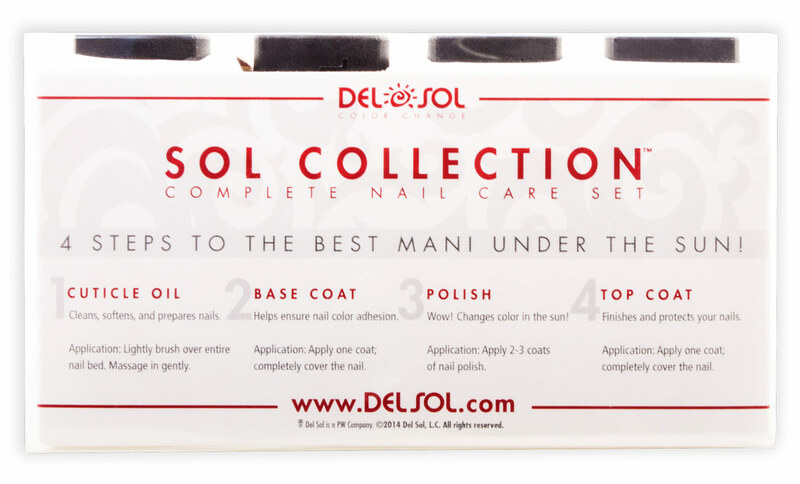 Worked with Product, Packaging, and Store Design teams to find a solution that would allow us to package and sell our new Nail Care Set items in an effective way. 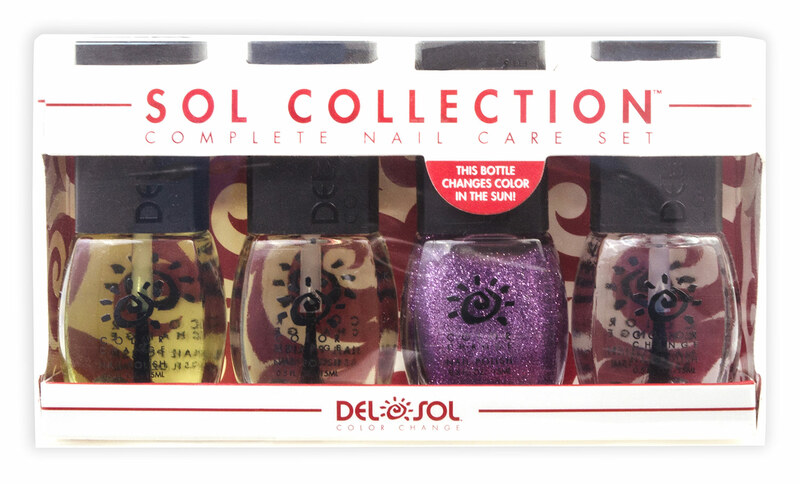 Designed packaging to allow shoppers to choose their favorite nail polish color and be able to insert it into the box easily. Made a box that allowed polish to be inserted from the top and then slid into a plastic sleeve for protection and easy transport. Also designed with alternative function to allow customers to use boxes for our buy 3 get 1 free promotion.